Today I have swatches from Polish Me To Go! These polishes are glow in the dark and also react to black light. 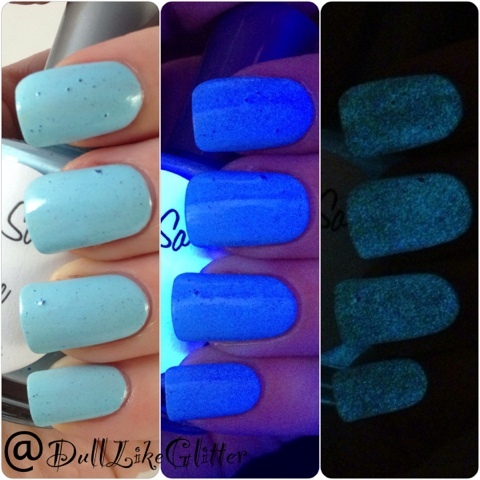 Each swatch is shown in regular light, black light and then the dark! 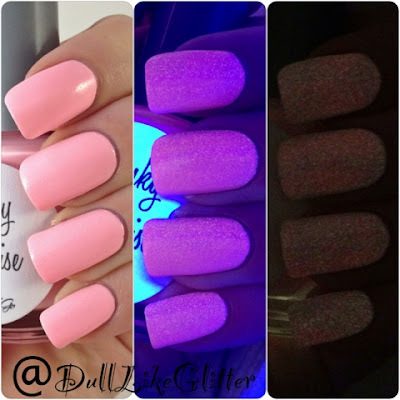 Pinky Promise is a pastel pink perfect for spring. In black light it appears neon and in the dark it has a faint glow. Yell, Oh Mint! is a pastel yellow. 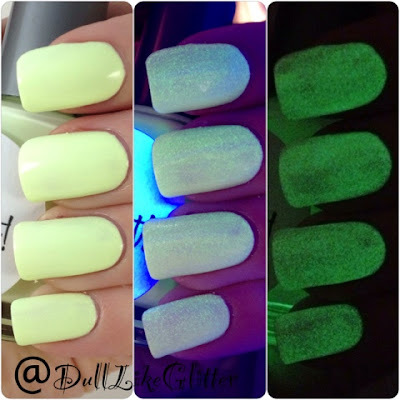 This is a pretty color on the nail and faintly glows neon under black light. In the dark it grows a vibrant green! Oh Cool Blue is a pastel blue. 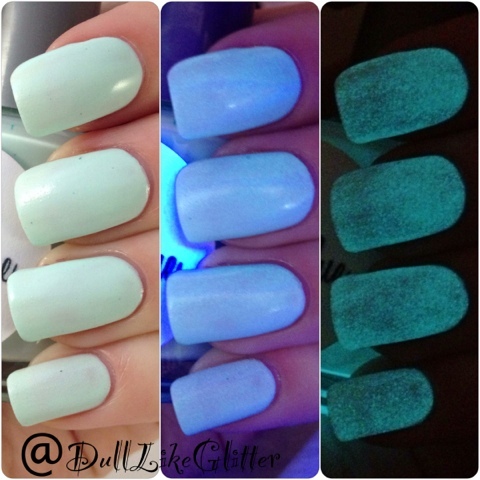 Under black light it appears more neon and in the dark it glows a beautiful teal! Lucky Me! 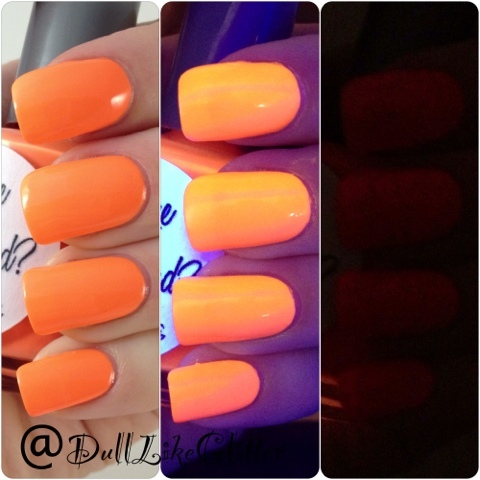 is a neon orange. This one had a little bit of clumping from pigment in the formula which got in the way. Under black light these really reached brightly and in the dark they glowed strong. Orange You Glad? is a neon orange. No formula problems here! Under black light they were very bright but these one was a bit of a let down in the dark. The glow was extremely faint. Like Grapes? is a neon purple. I had some pigments in here again that clumped. 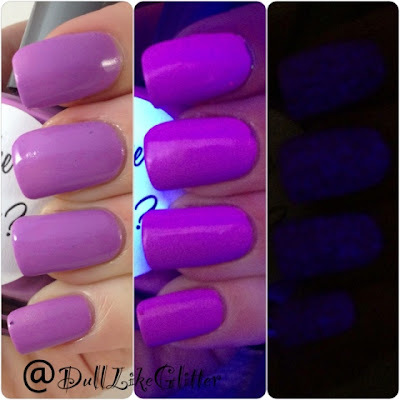 In black light there is a strong purple reaction and in the dark there is a deep violet glow that was hard to pick up on camera. I had the most pigment problems with I'm So Blue. 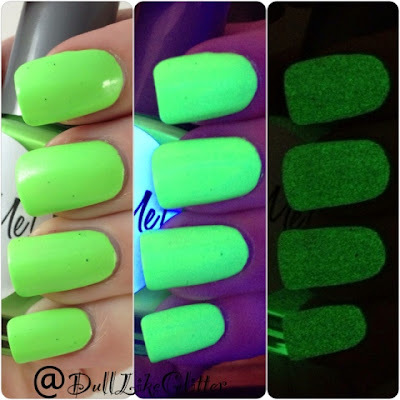 This really clumped up for me :( Under black light I got a neon reaction and it glowed blue in the dark. 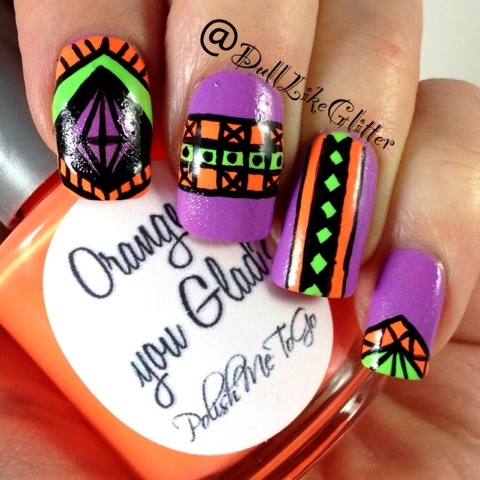 To show some of what you can do with these I created a three color tribal using Like Grapes?, Orange You Glad? and Lucky me! 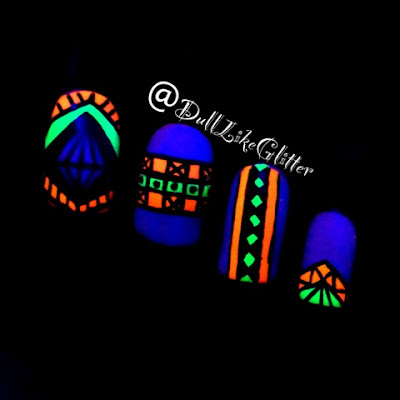 In the dark they glow bright and strong and give an awesome effect!